While non-tenure-track faculty members at universities are perceived as having less expertise, they are often more involved in the university community than their tenure-track counterparts, according to a recent study of two unnamed universities. Researchers said the difference between non-tenure-track faculty and tenure-track faculty derives not from specific social interactions, but instead from the norm in the field of academia that research, not teaching, qualifies one as an expert. “We have such a research focused mentality, perhaps for good reason, but also to the detriment of seeing teachers as experts, especially in research focused institutions,” said Nathan F. Alleman, a co-author of the study and a professor at Baylor University. 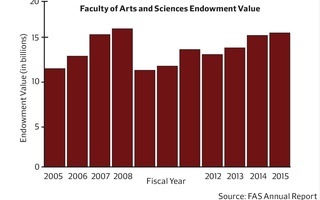 As of last May, Harvard employed 295 full-time non-tenure-track faculty members within the Faculty of Arts and Sciences, in comparison to 726 tenure-track faculty. While many non-tenure-track faculty members at Harvard begin their positions with the intention of using their experience as a professional stepping stone, some say they are prevented from pursuing their own independent research, either by University policies or lack of funding. The study found that non-tenure-track faculty members are often more involved with the community than their tenure-track counterparts. “We felt that in both institutions, in many ways, they became the face of the department,” Alleman said. This involvement ranged from leading summer outreach programs to managing advising programs for undergraduate students within the universities. The researchers also found while tenure-track faculty focus mostly on interactions with graduate students, non-tenure track are often more engaged with undergraduates. Many non-tenure-track faculty cited the relationships they build with undergraduates as reasons they stayed in their positions, despite the sometimes unequal working environments, Alleman said. “[Non-tenure track] felt loyal to the students, and even if they were having an awful time with their colleagues, they were motivated to work with them, ” Alleman said. 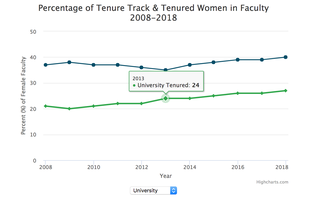 Researchers also found that non-tenure track faculty members often assume a variety of roles within their respective universities, ranging from full-time lecturers to part-time teaching assistants. Because of the “hybrid” nature of their jobs, there does not exist a concrete label for non-tenure-track faculty. “We don’t quite know how to talk about non-tenure-track faculty, and even the term is defining them by what they aren’t, rather than what they are,” Alleman said . Alleman said that he does not believe the solution is urging professors to seek the tenure track, because sometimes that is not always their ultimate objective. 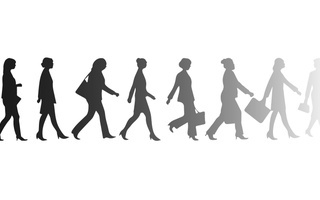 Instead, he called for a cultural shift in the profession. 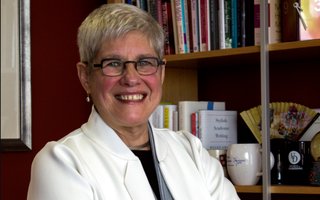 “[Change] has to happen at the disciplinary level, recognizing the craft of teaching and respecting it, and on the institutional level by crafting policies that provide opportunities for engagement and participatory governing and support for non-tenure-track faculty,” Alleman said. As we look back at Smith’s tenure, we are pleased with his performance, and it is clear that his work has had a tangible impact on campus.